If you’re a child of the '80s, chances are good that you don’t need any more lyrics to finish that song all on your own. 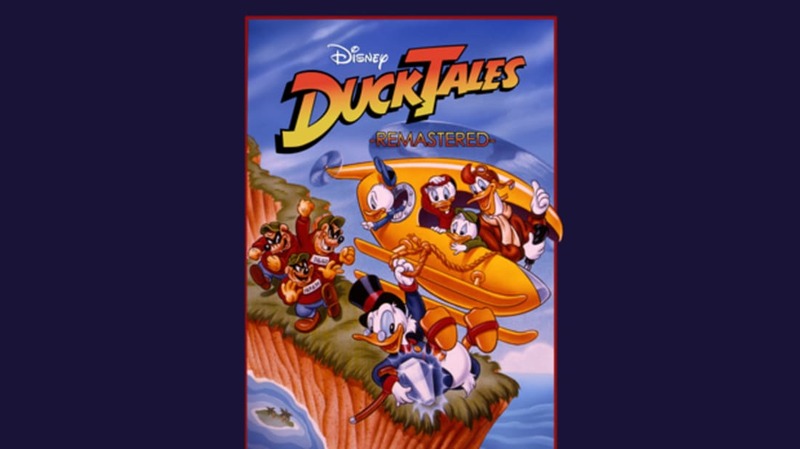 Disney’s classic animated series, based on Carl Banks’ Uncle Scrooge comic books, only ran for four seasons and 100 episodes, but it’s one of the most beloved nostalgic treasures of the 1980s. In 1989, Capcom took their side-scrolling Mega Man game engine and applied it to the Disney hit to create DuckTales for the Nintendo Entertainment System (NES). It soon became one of the console’s most memorable games. 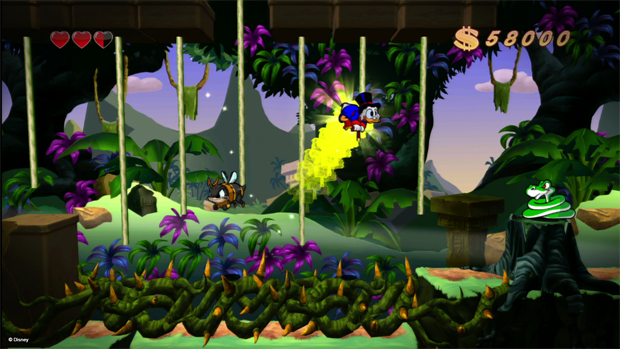 Now, Capcom has created a gorgeously animated update of the classic platformer called DuckTales Remastered. Imagine all the fun of the original game with brand new high-definition graphics, additional storyline, and great voice acting from many of the cartoon’s original actors. Out now for PS3, Wii U, and PC (and releasing on Xbox 360 on September 11), it’s like a little nostalgia time machine. DuckTales Remastered producer Rey Jimenez talked to us about reviving the classic DuckTales game, why the property is remembered so fondly, and some of his favorite games growing up. What prompted you guys at Capcom to bring DuckTales back to life? It was the fact that DuckTales the NES game and the show still have quite a lot of fans at both Capcom and Disney. We’ve also received a lot of requests over the years from fans saying that they love DuckTales the game and would love to see it come back again. Can you tell us briefly what sets DuckTales Remastered apart from the original DuckTales, aside from new graphics and sound? We’re really bringing the show to life using the NES game as the framework. Aside from the graphics and sound, the storytelling and VO work makes the game feel like long-lost episodes of the show. All the while, the team has gone through great strides to make sure the gameplay kept the charm of what made the NES version so iconic. How important was it for you guys to get the original voice actors from the show back to work on DuckTales Remastered? I don’t think there was any other option for us. That was all Disney’s doing. They suggested adding VO to the game and they contracted all of the actors and did all of the recordings. I think, to feel as authentic as possible, getting the original actors is the best move possible and the Disney voices group does a great casting job. For those actors no longer with us, I think their replacements do a fantastic job of filling in. This game has gotten more buzz online than many other recent live arcade game releases. It seems like you've really tapped into folks' childhood memories. What do you think it is about DuckTales that has been different in that sense? Why has this game become such a fondly remembered experience for so many people? What I’ve gotten from talking to people is that everyone above a certain demographic fall into 3 categories. They love the NES game, they love the show, or they love both. Plus, the memories they/we have are all positive. Whether it’s Saturday morning cartoons—which unarguably were awesome in the late '80s/early '90s—or playing one of the best NES games ever made, there’s just no bad memories around DuckTales. I think the deeper question is why are people attracted to the adventures of a stingy, curmudgeonly, old duck? Disney magic! Capcom has an extremely deep list of beloved classic games. Does the creation of DuckTales Remastered bode well for possible other remastered games? Anything is possible really, especially if DuckTales is well received by our fans. There is definitely an interest in doing more. Do you have a personal favorite character from the DuckTales universe? If so, who is it and why? It’s gotta be Gizmoduck. If only you could take Fenton out of it. 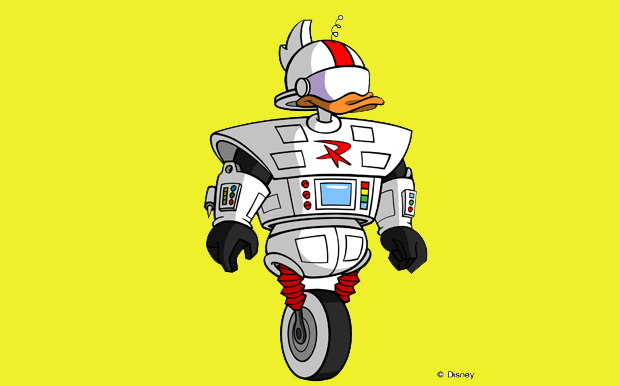 I never really liked him but a roboduck was right up my alley … although I wasn’t a fan of the unicycle design. It always bugged me to guess where Fenton’s feet went when he became Gizmoduck. Are there any plans to expand the game to iOS as well or will it be strictly PS3, Xbox 360, PC, and Wii U? If we decide to do it, we’ll make a formal announcement about it. And, finally, it can be in-game, behind the scenes, or whatever you like, but what's your favorite memory of working on DuckTales Remastered? I think it’s when the music that plays during the first two cutscenes of the Transylvania level got implemented into the game. For some reason, that track really resonates with me. When I heard that, I was instantly taken back to watching cartoons in the '80s because it reminded me of drama music in G.I. Joe. That was a turning point for me when the game felt like DuckTales brought to life, instead of just an update to an NES game. 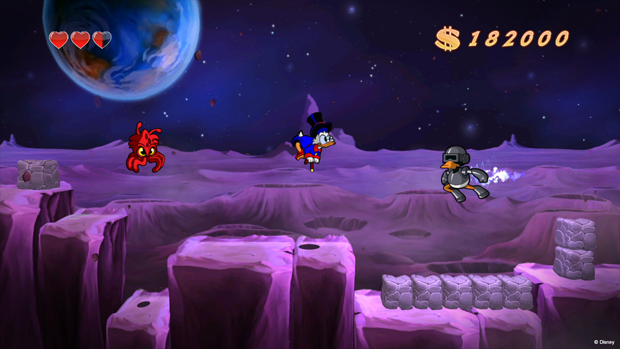 DuckTales Remastered is available now on PS3, Wii U, and PC while the Xbox 360 version releases on September 11. Can you out-fact the Facts Machine? Go to this post and leave a comment with your own amazing video game fact. If your fact is deemed sufficiently Amazing, you could win the mental_floss t-shirt of your choice.